Bridesmaids Dress? Check. Shoes? Check. Statement Earrings? Working on it. My usual go to would be my pearl necklace and earrings however the neckline of my dress isn't right for a necklace. 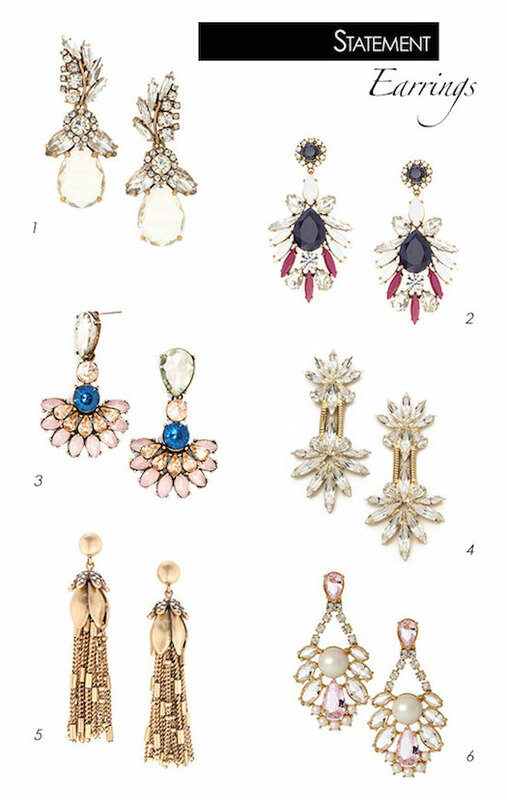 Instead I plan to rock some awesome earrings, I just have to decide on the right pair. Looks like I'll be doing some last minute shopping after work today! Statement earrings are my go to for every occasion, I just feel like they can instantly dress up any outfit. What a great selection you have come up with here, I think number 1 and 2 are my favorites!